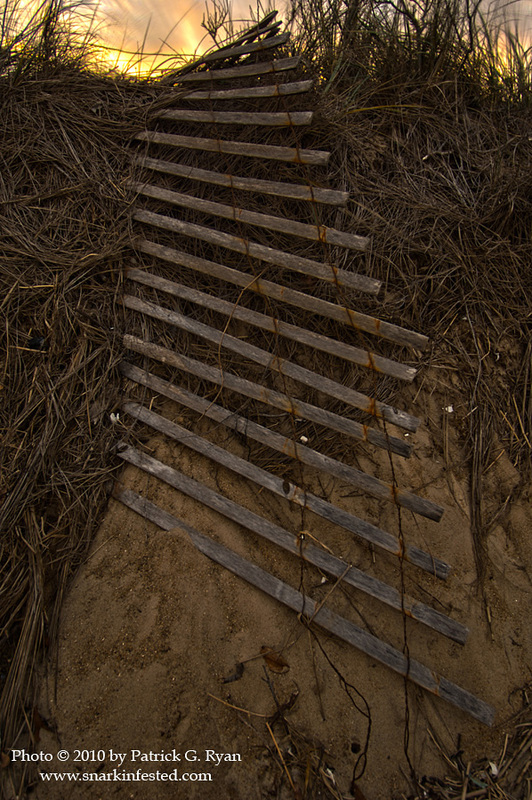 11/30/10 I made this HDR or High Dynamic Range image on the dunes in Duck, NC. HDR images are a composite of multiple photos (in this case 21) made at various exposures and sandwiched together in Photoshop. The wide dynamic range makes for a unique look – all parts of the image are evenly exposed and the colors seem more dense and saturated. When I shoot HDR, I find myself looking for realistic subject matter that evokes Andrew Wyeth‘s emotionally charged but spare drybrush and egg tempera paintings. I’m making a poster from this photo. Contact me if you are interested in a copy.